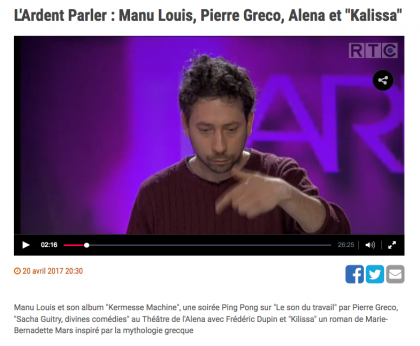 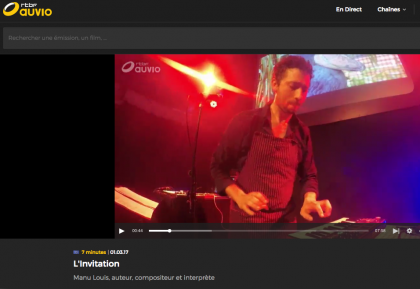 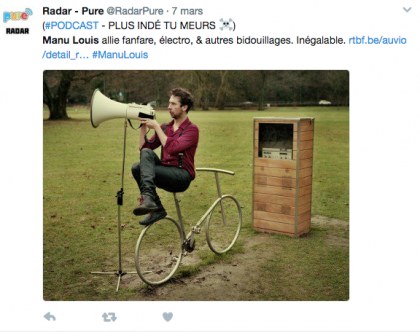 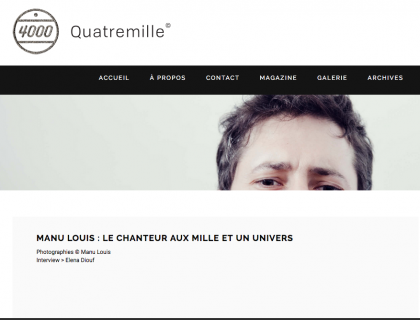 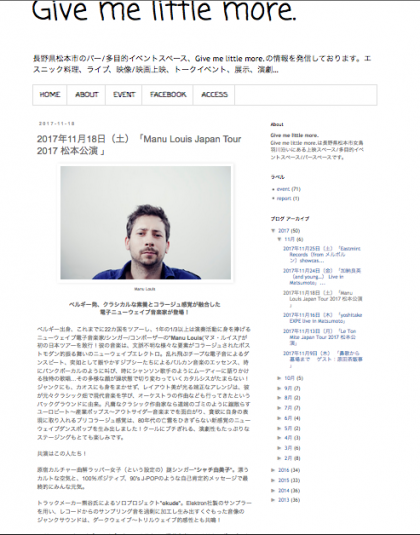 Stephan Pougin : Drums, Percus. 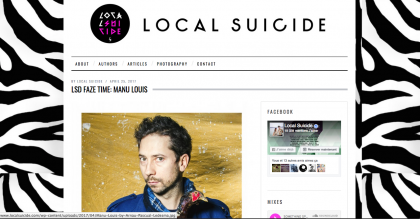 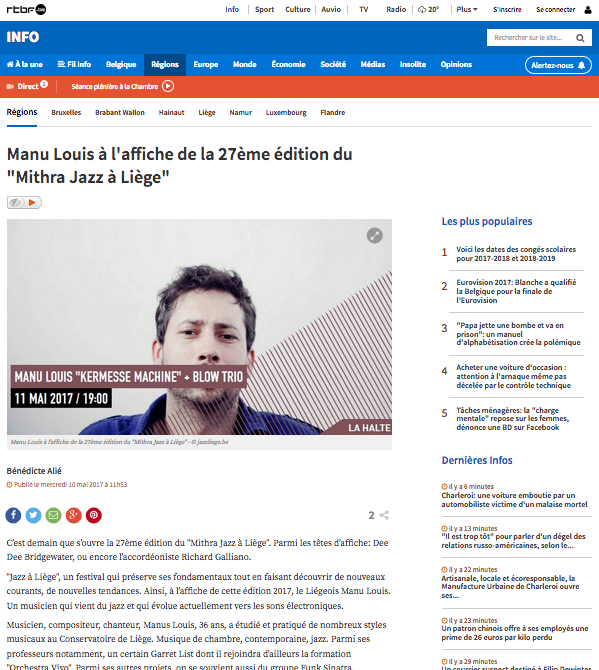 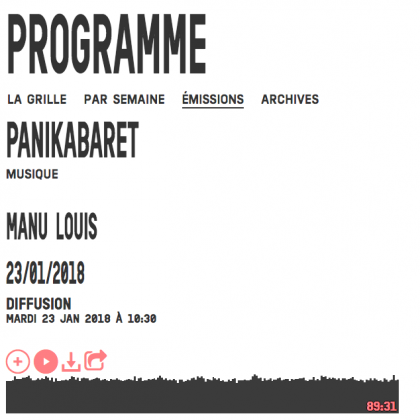 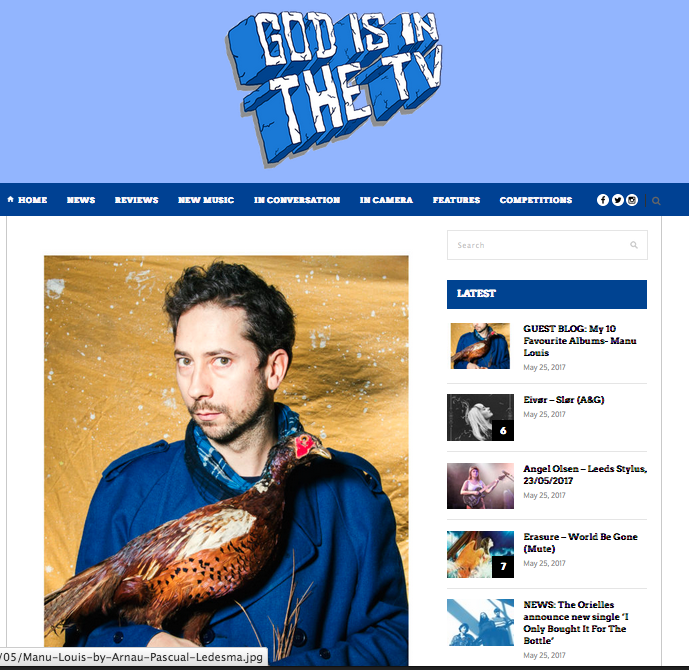 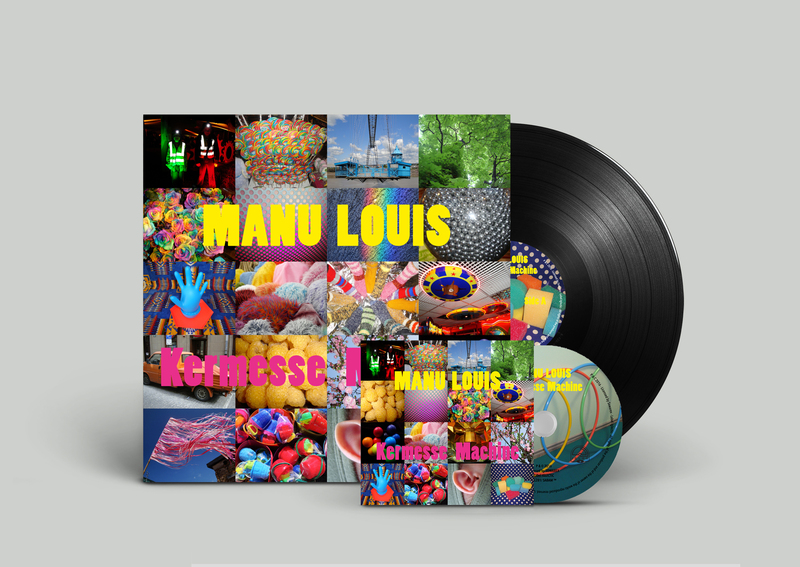 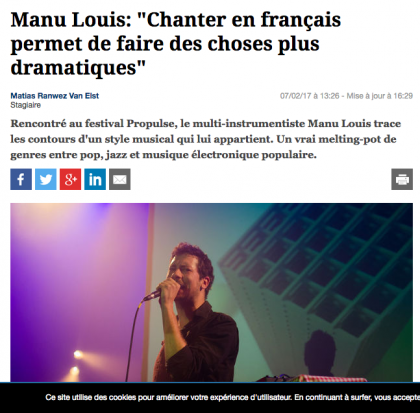 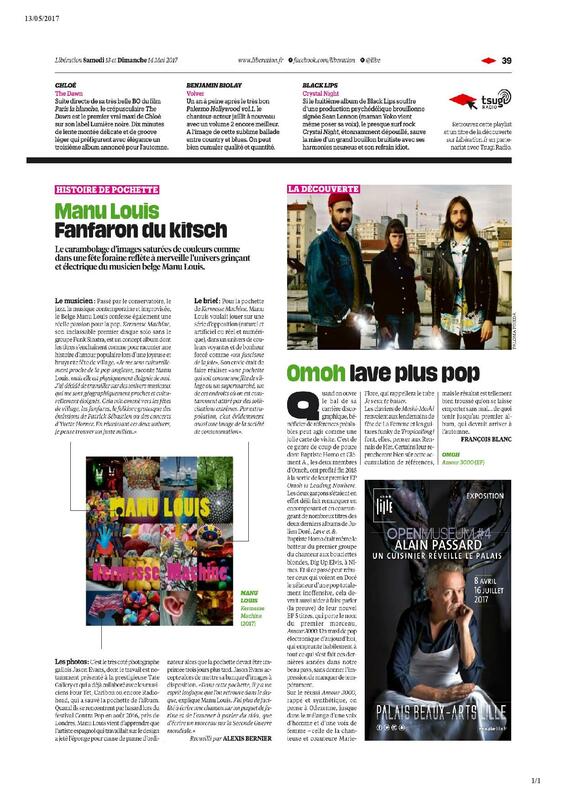 Building on the momentum of his debut 7” single for Berlin label New Pangea, Manu’s first full-length solo album delivers a warped mix of post-modern pop, where luxurious horns elegantly collide with cheap synths to cradle his lyrical observations, sung in French and English. 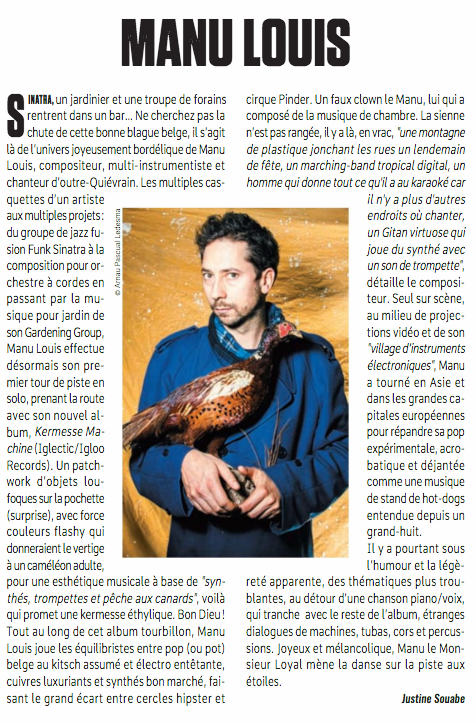 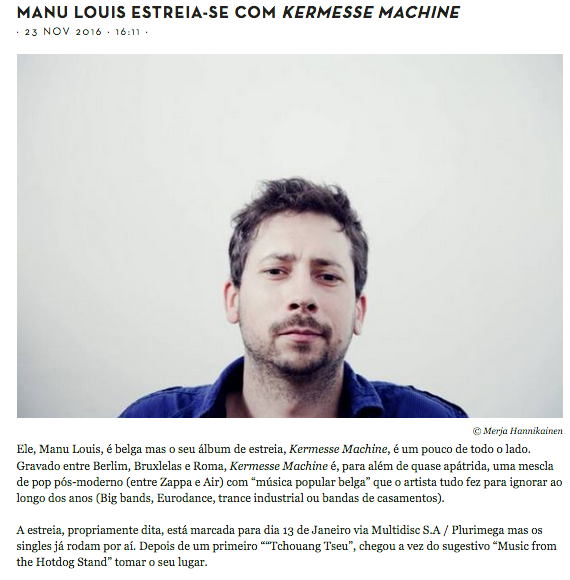 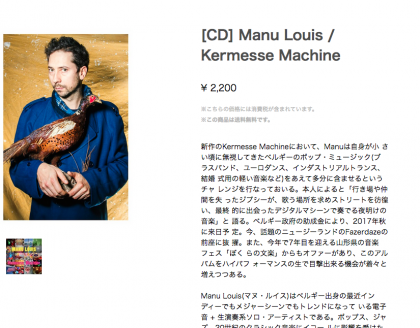 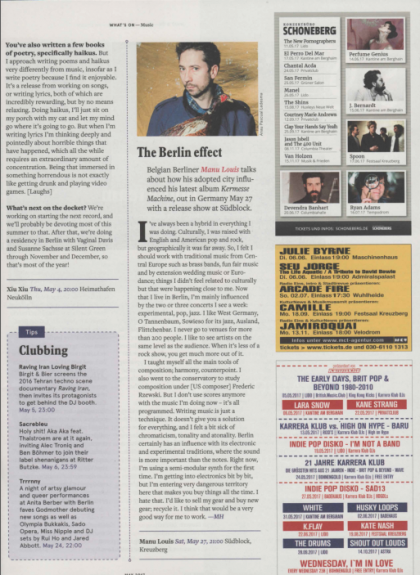 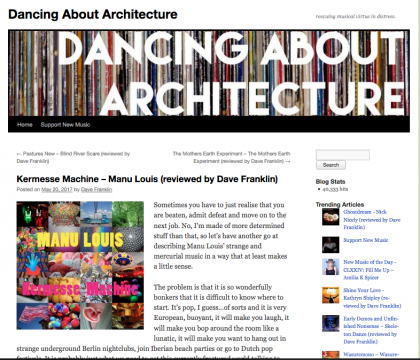 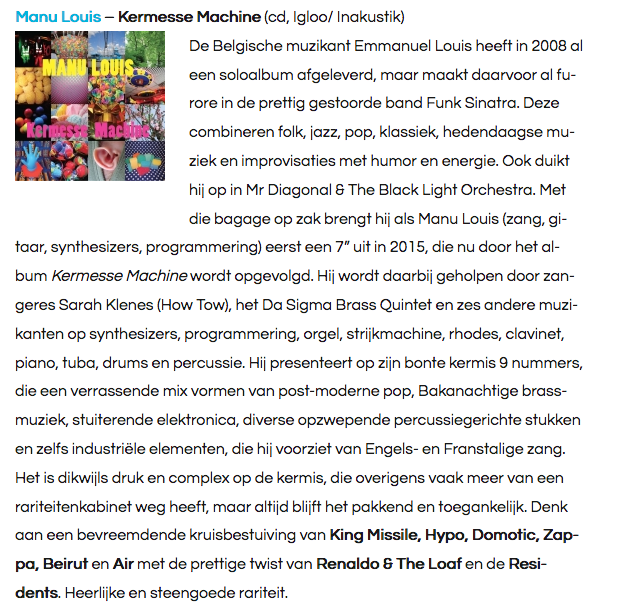 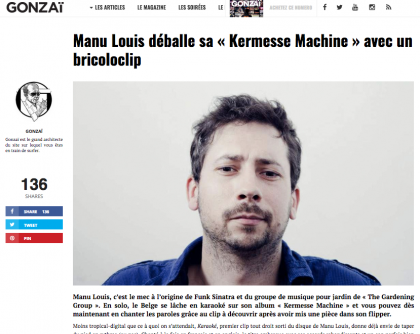 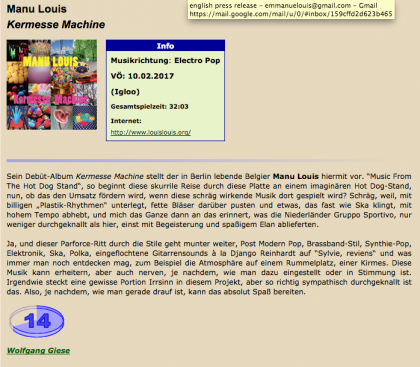 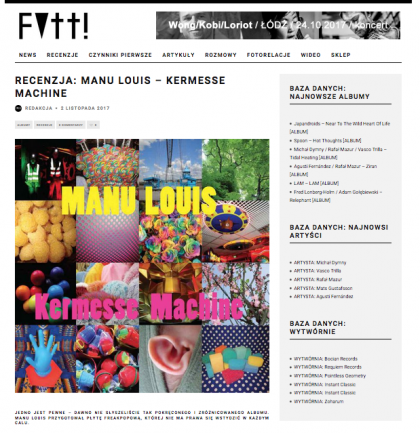 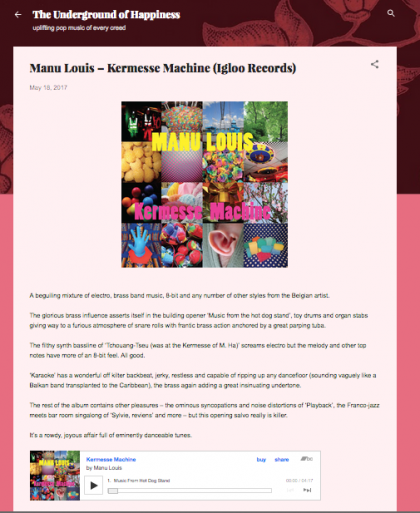 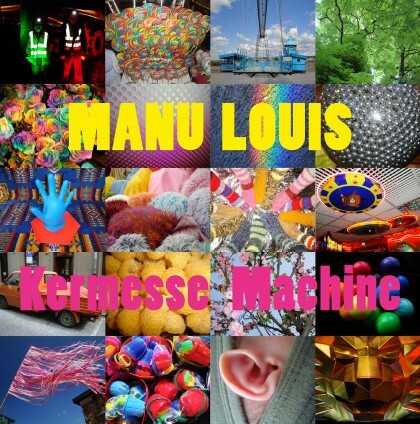 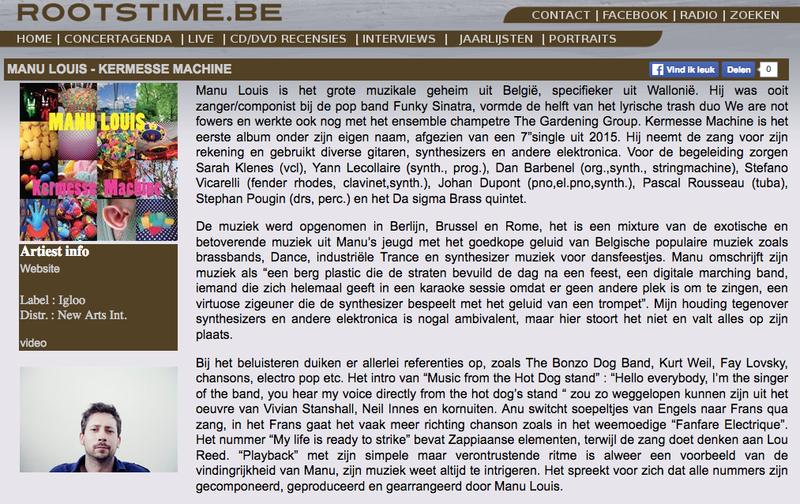 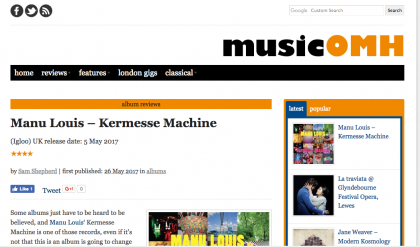 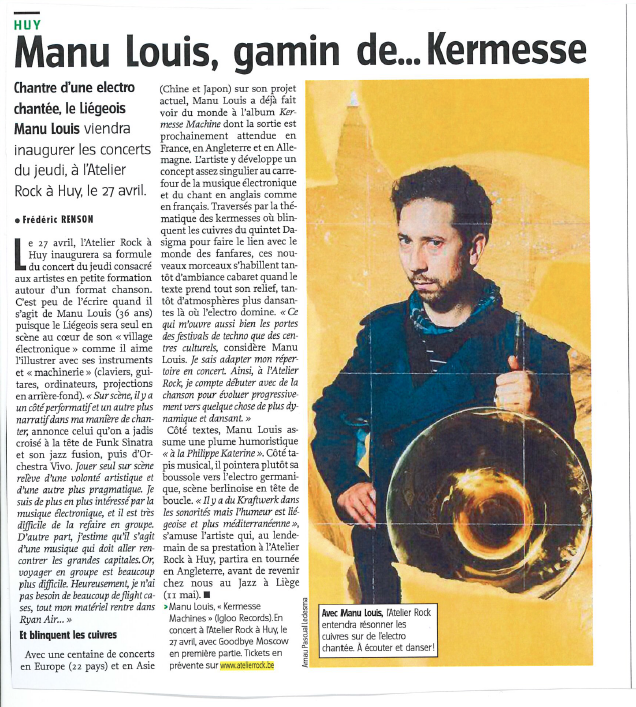 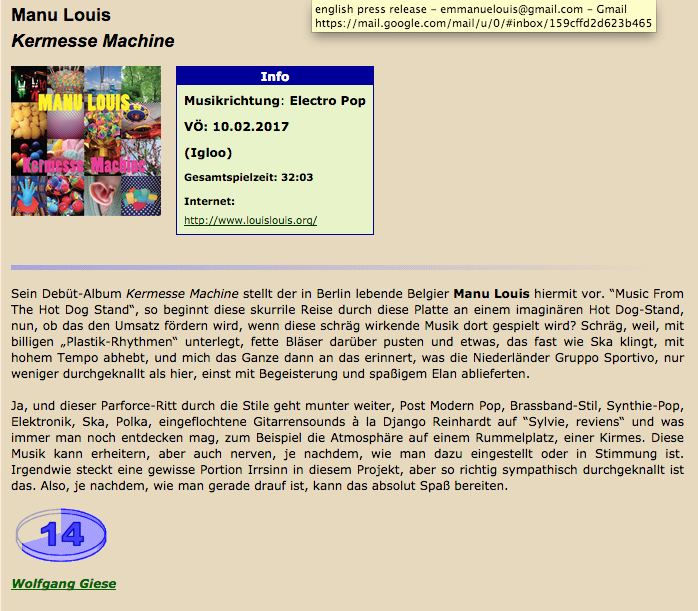 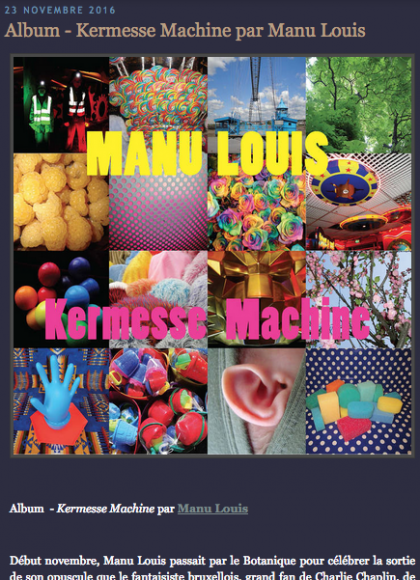 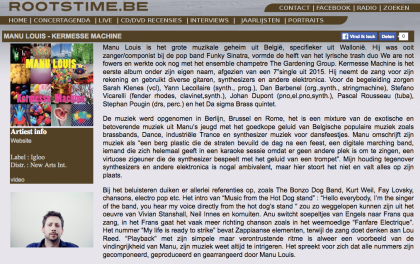 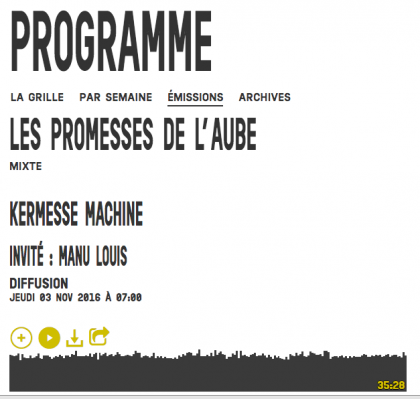 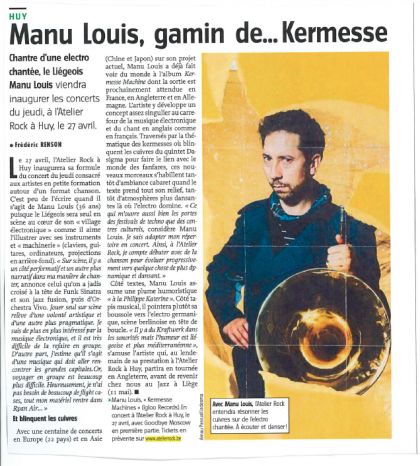 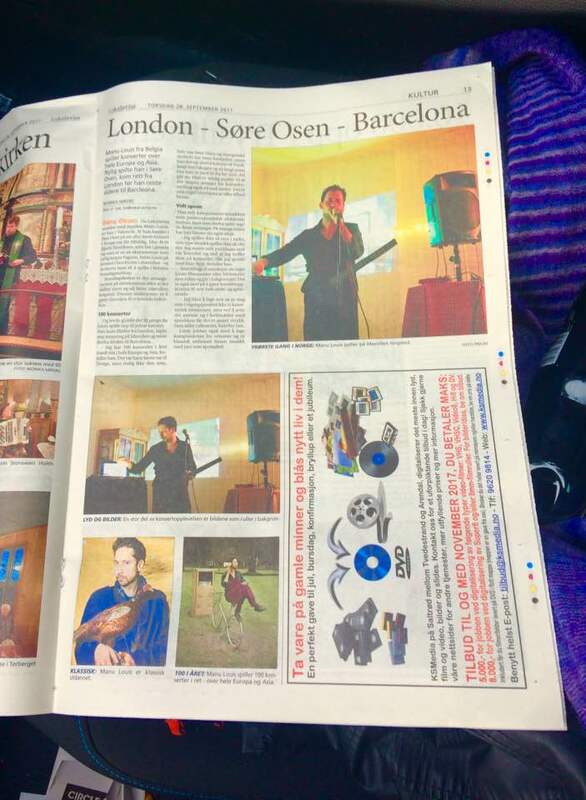 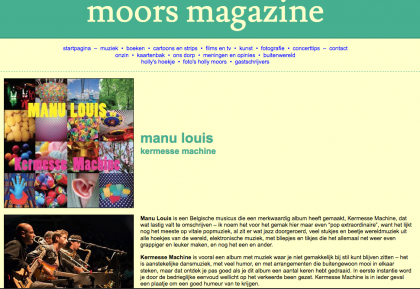 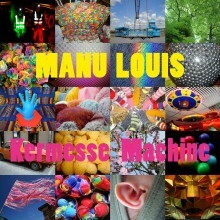 Recorded in Berlin, Brussels and Rome, Kermesse Machine combines the exotic glamour of the Anglo pop of Manu’s childhood with the tacky sounds of Belgian popular music that he always did his best to ignore (brass band, Eurodance, industrial trance, wedding performers).